Dalqueich[pronunciation?] 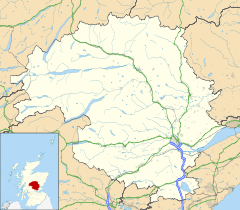 is a hamlet in Perth and Kinross, Scotland. It lies approximately 3 miles to the west of Kinross, north of the A91 road on the North Queich burn. This page was last edited on 20 February 2018, at 00:23 (UTC).